It’s hard to engage millennials at retail fueling stations—especially when they may not have anything to fuel up. New research shows that millennials are slowly becoming disenchanted with the idea of driving, citing maintenance costs and congestion near large cities as reasons to opt for alternate transportation like bikes, buses, and the ever-popular rideshare. However, there’s a silver lining. Even though millennials (who are soon to be the largest group of shoppers) are yet again “disrupting” another market. These changes open the doors to new opportunity for related industries like retail fueling and convenience. Though millennials are the trailblazers driving buyers from traditional shopping at brick-and-mortar stores to online grocery and retail channels, c-stores provide a quick and convenient alternative for millennials to get what they need at a moment’s notice. The trick is engaging them while they’re there. As with any generation, millennials often have a different take on the world and prefer different, more connected experiences than their parents and grandparents. However, as they continue to rise through the ranks of purchasing power, these preferences and demands for innovative customer experience are no longer suggestions. 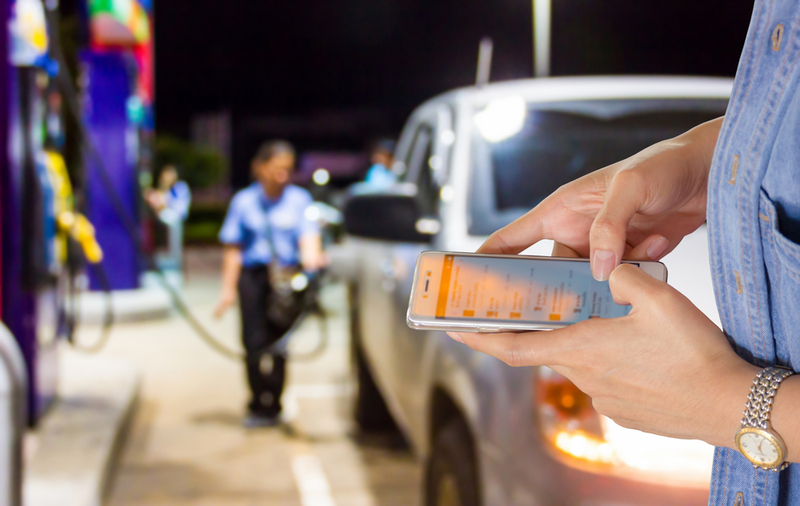 As retail fueling stations strive to adapt to changing buyer behaviors, they can future-proof their customer engagement model with these innovative, yet easy-to-implement methods. Offer mobile ordering. Ninety-two percent of millennials own smartphones and the way they live their daily lives depends on them. In order to make retail fueling purchases easy, convenient, and appealing to millennials, offer mobile ordering through an app that lets them review their options, pay ahead, and pick up their purchase in a way that doesn’t disrupt their routine. Prioritize health and nutrition. Over the past couple years, more convenience stores have been focusing on engaging millennials with tech-forward additions (like touchscreen kiosks) and menu changes that include healthier gourmet options. Technology has brought more customization to purchases than ever before, and because millennials were raised alongside this technology, they expect every product and experience to be “made-to-order” as well. By offering healthier foods made with cleaner ingredients, as well as customizable options, retail fueling stations can better appeal to millennial preferences. Allow mobile payment options. Payment options are no longer about what’s most prudent for the vendor, it’s about what’s convenient for the customer. For millennials (who increasingly prefer contactless payment mechanisms like ApplePay over traditional EMV), mobile payment provides the ultimate convenience. Through a convenience store app, millennials can pay at the pump or in-store, minimizing wait times, encouraging more purchases through digital offers and driving revenue quicker. Provide free wifi and charging stations. If the overwhelming majority of millennials (and adults in general) carry a smartphone, it would make sense that offering free wifi would be a worthwhile investment that would entice customers to come in and stay longer in-store. Convenience stores are now offering free wifi and phone charging stations to patrons as a way to appeal to mobile-savvy millennials and keep them in-store longer for greater purchasing power. While retail fueling stations and c-stores have tremendous opportunities to appeal to millennials, there is still much to be done to increase traffic flow. Retailers must put programs in place now to appeal to this powerful demographic in order to get a jumpstart on the competition and raise awareness among millennials. Only 24% of millennials currently have a convenience store app, often due to stores not providing them. To appeal to millennials, retailers must capitalize on their on-the-go mentality in every way possible. P97 makes it easy to attract millennial audiences with mobile-first commerce specifically designed for the retail fueling industry. With beautiful and intuitive white label apps that offer mobile ordering capabilities, offers, payments, and more, brands can bring in more millennial customers to build loyalty and scale for the future. Learn how by scheduling a demo today.